Nobody likes a MOUSE in the HOUSE! MICE: Because house mice are so small, they can gain entry into your home and other out buildings much more easily than a rat. As a result, house mouse infestations in the Myrtle Beach area are probably 10 to 20 times more common than rat infestations are. 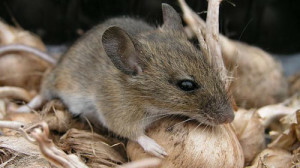 Effective mouse control involves sanitation, exclusion, and population reduction. Sanitation and exclusion are preventive measures and Complete Pest Management can help you with a long term plan to keep mice out. When a mouse infestation already exists in a home, some form of population reduction system like trapping or baiting is almost always necessary to get these pesky creatures under control. If you have pesky mice running around the house call Complete Pest Management in Myrtle Beach @ 843-457-7364 for fast, affordable and reliable service. RATS: The presence of rats can be detected by droppings or evidence of fresh gnawing around pipes, and other access holes in your Myrtle Beach area home or business. Tracks can be seen in mud and on dirty, dusty surfaces. Runways and burrows may be found next to homes and buildings, along fences or railroad tracks, and under low vegetation and debris found around the home. CPM will destroy the rats and keep them away for a long time. Our rat extermination system is second to none. 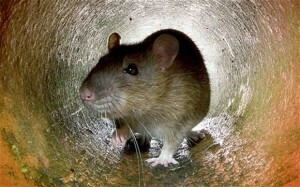 So… If you smell a RAT call Complete Pest Management in Myrtle Beach 843-457-7364 today.